The general aim of the MoPark (Mobility and National Parks) project was to guarantee sustainability of National Parks by applying environmentally friendly technologies in an economically viable way. The concrete aim was to raise the income for national parks by increasing quality tourist offers based on natural assets without compromising natural qualities, by application of modern technologies in the area of transport and information and telecommunication. A range of activities have been carried out, varying from investigations on mobility and sustainable means of transport, to the participation in project groups on traffic and tourist matters. Field trials on environmentally friendly alternatives for travelling within and to national parks (e.g. electric engines and solar cells on boats) and the use of ICT have been conducted. Tangible outcomes include complete tourist packages and new vehicles like solar powered or electricity driven boats, innovative bikes etc. MoPark has achieved strong economic, environmental and social results. Economically, MoPark has fostered rural development and off-seasonal activity. All of the involved national parks indicated that the project activities contributed positively to employment opportunities for the local communities and extended tourist seasons. Moreover, it is assumed that an increased amount of visitors will generate more income for local businesses. The main positive environmental impacts of the activities of MoPark are linked to substituting fossil fuel with solar or electric power as carried out in the project. The project activities have increased the awareness towards local nature and culture among tourists and communities and encouraged entrepreneurial development. These activities will contribute to social-cultural development in the region, generate new activities, facilitate participation of disabled and increase the level of local involvement in the national parks. Combining the assets of natural resources and new technologies, all eight participating regions of MoPark have worked on the subject of sustainable development of national parks and have undertaken a great variety of activities, adapted to their local situation and needs. Under the umbrella of MoPark networks on a local, regional and transnational level have been established, which include small business organisations in and around the national parks as well as universities. In Sweden the MoPark project has gained a lot of support from politicians in the region. The project has also inspired the Traffic Delegation, a political advisory board, to focus more on recreational transport as part of public transport. As a result of MoPark, the public body responsible for transportation has made a policy decision that future public transportation will have a more sustainable character and will be based on an expanded railway system complemented with buses on biogas. In Norway the document for canalising tourism will be used as a political management tool. In Scotland the results of MoPark will be presented to the Scottish Executive (Environment and Rural Affairs Department) as a contribution to future policy for the development of environmentally friendly transport in Scotland. 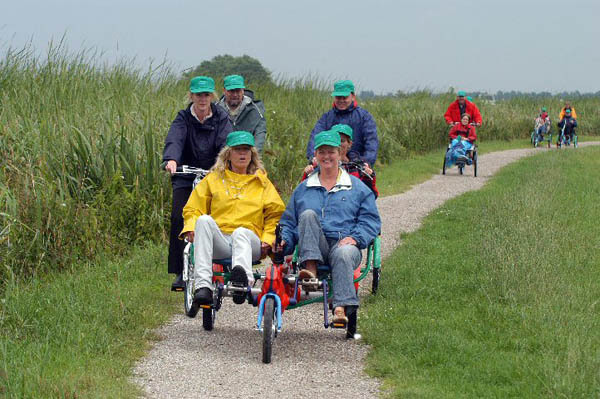 British Waterways has through the work in MoPark accepted a policy plan for accessibility for disabled to all their canals. (Australia) showed interest in the results of the project.